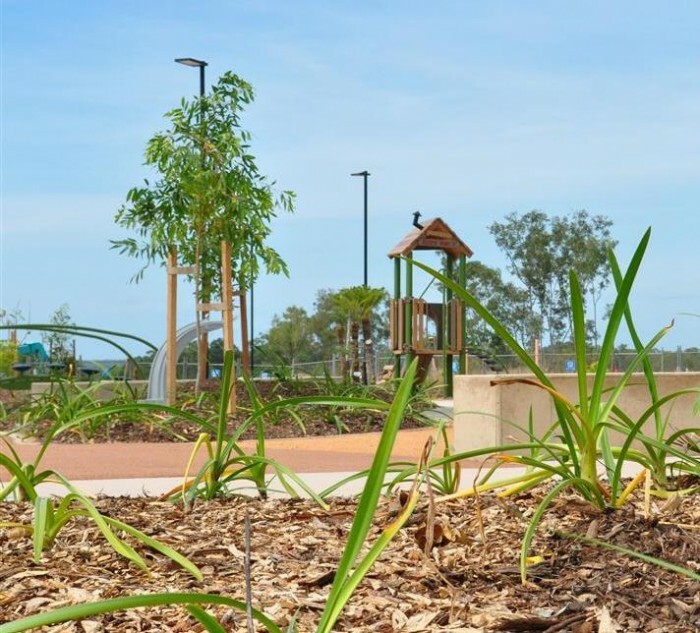 Breezes Muirhead, located in Darwin’s northern suburbs is Investa’s latest housing development – that truly connects residents with the nature that surrounds them. A highly sought after location, we were thrilled to have our play equipment included in the development’s Woodland Park. Working through Terrain Consultants and Mode Design, equipment was chosen that not only challenged children of various ages and abilities, but also blended with and complemented the natural surrounds. B&K Revegetation were the successful tenderer installing the job and the finished result is stunning! The park incorporates sections of the retained bushland with play equipment positioned among the trees – encouraging children to engage with their natural environment. With plenty of shady places for carers to sit and keep a watchful eye, this park is destined to become one of the neighbourhood’s most popular recreation areas.